As a professional photographer, and instructor for the Aperture Academy, I've been asked a lot of "how-to" questions over the years. When I think about the top 10 questions I'm asked, how to print is certainly very common. I've been printing my images for years and have, through a lot of trial and error, have found what works, and what doesn't. I'll outline in this article some of my favorite ways to produce images in print, in a variety of ways. I found these two brands to produce high quality, consistant prints. The downside is the ink is expensive but for a small number of prints and the ability to see your results instantly, this is a great way to go. I also found though that it is very important to use the same brand paper of your printer, i.e. 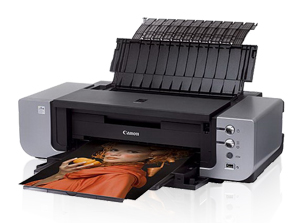 use Epson paper in and Epson Printer, and Canon paper in a Canon printer. Seems like a marketing ploy but it's not...the science behind the ink in combination with the paper is way beyond me but I know it's true -- I've experienced it, first hand. What I really like about Photozini.com is that you can put up to 150 images on their very cool USB drive (included in the kit) and send it off in the mail in their postage paid envelope. Then, a few days later you get a very cool magazine of all your photos! I was impressed that all my photos came through with exactly the right colors and I liked how they set it all up, using my favorites as the cover images and arranged all the other images into the inside pages into a nice presentation. The paper quality is great and the semi-gloss finish really helped set off my images in a very professional way. 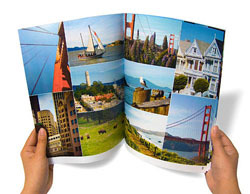 Blurb is a print-on-demand company that prints books of your photos and allows you, through a number of templates in their software, to include text and customize the layout of each page. I personally use Blurb for my coffee table book and I like using them because the quality is great, the turn around time is quick and I like that I can order 1, or 100, and they deliver every time, consistently. The software they offer to build your own photo book is quality and available on both Mac and PC. As far as print-on-demand books go, you wont find a better quality service than Blurb. The Aperture Academy has a 4,000 square foot gallery space filled with my favorite prints and we offer them for sale in sizes from notecards to 6x4 foot in print size, and larger. For these larger prints we choose BayPhoto. and I can't say enough about what a great job they do -- not only the consistent quality, but how quickly the deliver. The other great thing about Bay Photo, besides the great variety of papers and materials you can print on, is that they have excellent customer service. In my experience, if a print isn't quite what I was expecting, they correct it right away, no questions asked.